462. Chain pump; lifting water by continuous circular motion. 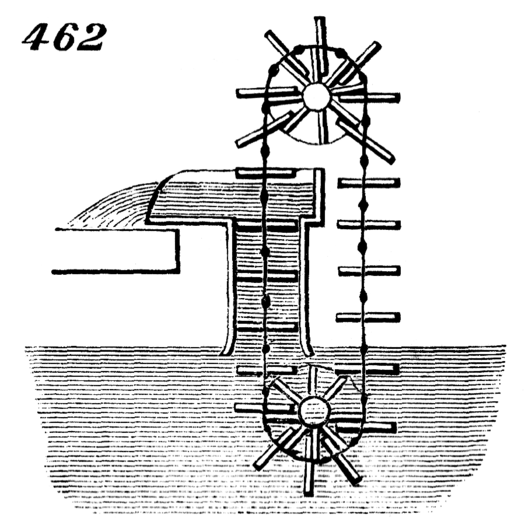 Wood or metal disks, carried by endless chain, are adapted to water-tight cylinder, and form with it a succession of buckets filled with water. Power is applied at upper wheel.